Roasting requires knowledge and skill to be able to transform a grassy tasting green coffee seed into a brown coffee bean that is bursting with flavours. Every roaster develops their own style – there is more to it than simply throwing the beans into a roaster and popping off for a quick brew!! Different varieties of green bean, different processing techniques from different origins, will all require different styles of roasting to produce very different tasting cups of coffee. Mr Duffin enjoys roasting Single Origin Coffees. On the whole these tend to be enjoyed best, drunk black but each to their own preference. He also enjoys coming up with Blends. 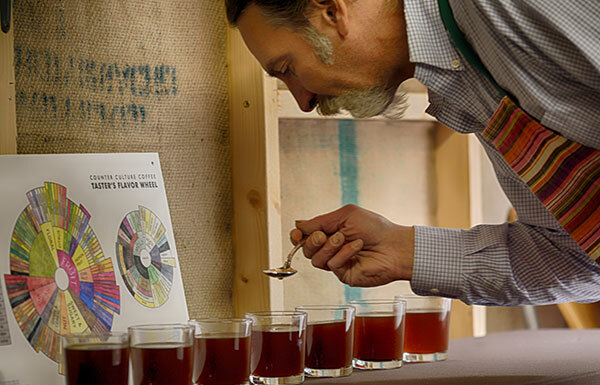 It is a challenge combining beans to get all of their best qualities into a single shot of coffee. 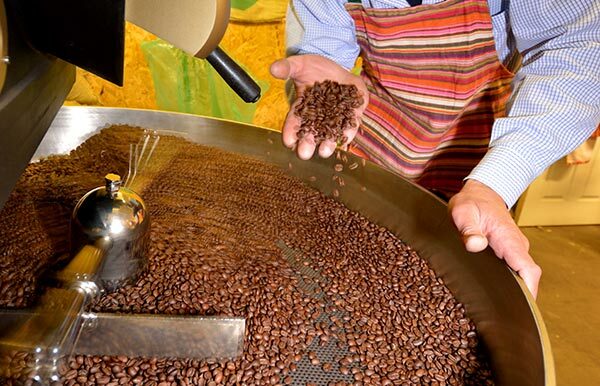 We roast regularly and always aim to give our customers the freshest coffee possible.